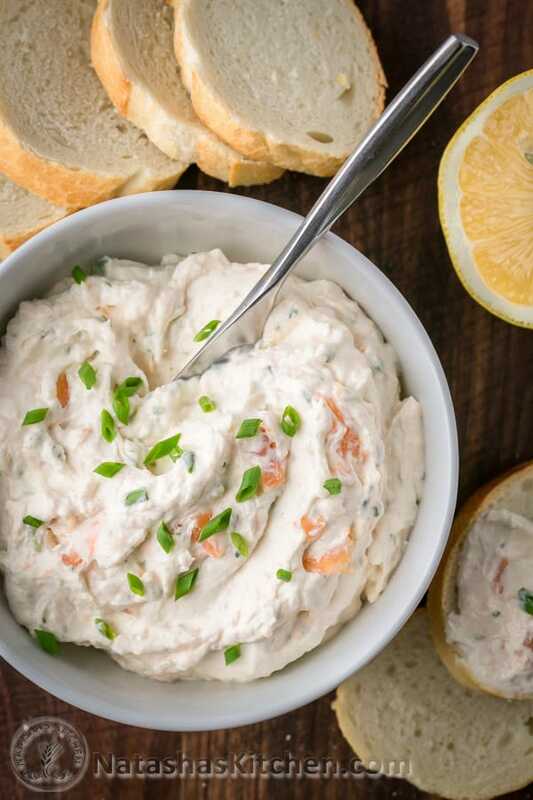 This smoked salmon spread is a great way to stretch a pricey package of smoked salmon and impress a hungry crowd. 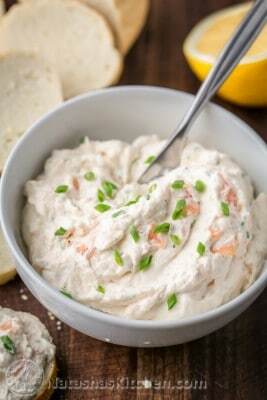 I’m making this salmon dip for my sisters upcoming baby shower. I’ve been developing this spread for some time now and this version is my absolute favorite. The ingredients are so simple. I lit up when I tried it and told my hubby, “this is it!” I was so excited :). It’s better than any store-bought version I’ve tried. 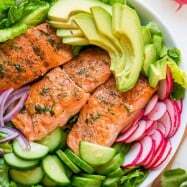 It also keeps well in the fridge up to a week so you can absolutely make it ahead of time. 1. 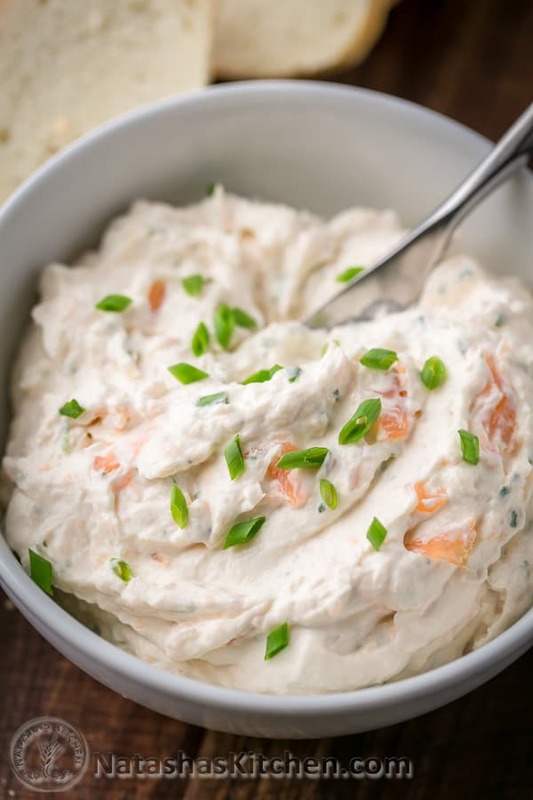 In the bowl of a food processor, combine 8 oz softened cream cheese, 1/2 cup sour cream, 1/2 Tbsp lemon juice, 1/4 tsp salt and 1/2 tsp Tabasco sauce. Pulse until well blended. 2. 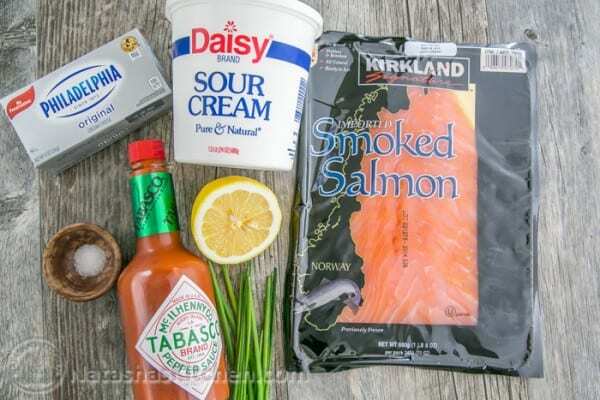 Add 4 oz chopped salmon and 1 Tbsp chives and pulse a few times just to combine. Add more salt or pepper if desired and refrigerate until ready to serve. 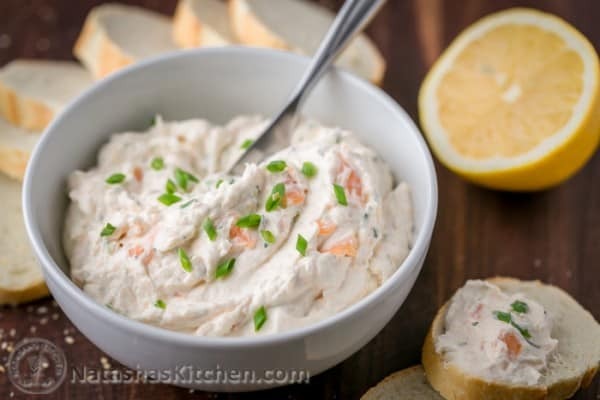 This smoked salmon spread is a great way to stretch a very expensive pack of smoked salmon and impress a hungry crowd. Stays fresh in the fridge up to a week. 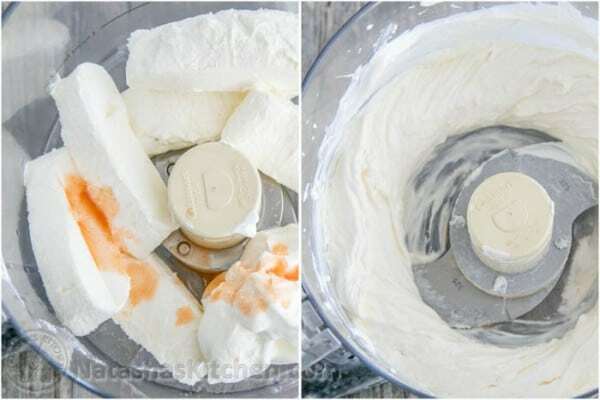 In the bowl of a food processor, combine 8 oz softened cream cheese, 1/2 cup sour cream, 1/2 Tbsp lemon juice, 1/4 tsp salt and 1/2 tsp Tabasco sauce. Pulse until well blended. 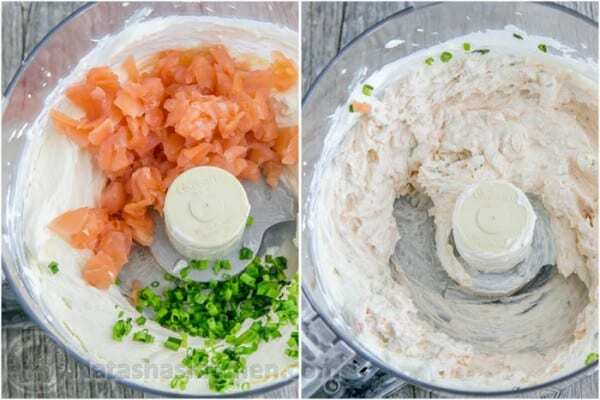 Add 4 oz chopped salmon and 1 Tbsp chives and pulse a few times just to combine. Add more salt or pepper if desired and refrigerate until ready to serve. 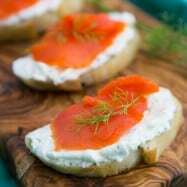 Price based on Costco pricing of $20 for a 24 oz package of smoked salmon. 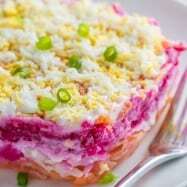 Hi Natash, can i make the spread the night before? Thank you, can not wait to make it for Christmas Eve . It’s really good. 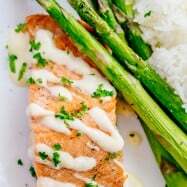 I used homemade hot smoked salmon, minced onion instead of chives (didn’t have) and plain greek yogurt instead of sour cream. It turned out really good too. Will try this, but question for you, presentation…can this be made into a log or rolled ball shape?? Just would like to up its looks more for a graduation party this June. 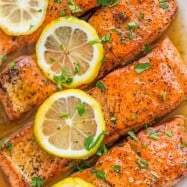 I am actually from the Seattle area but my husband isnt really into fishing so we usually buy ours from Costco. 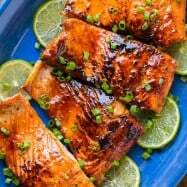 Last night we had grilled salmon for dinner and had some left over and I told my hubby about your new recipe and he went out and put it in the smoker so I could make some 🙂 Perfect timing! It’s awesome that you have a smoker at home. That’s something that I’m hoping to get in the future. For now, or parents do all the meat smoking for us.